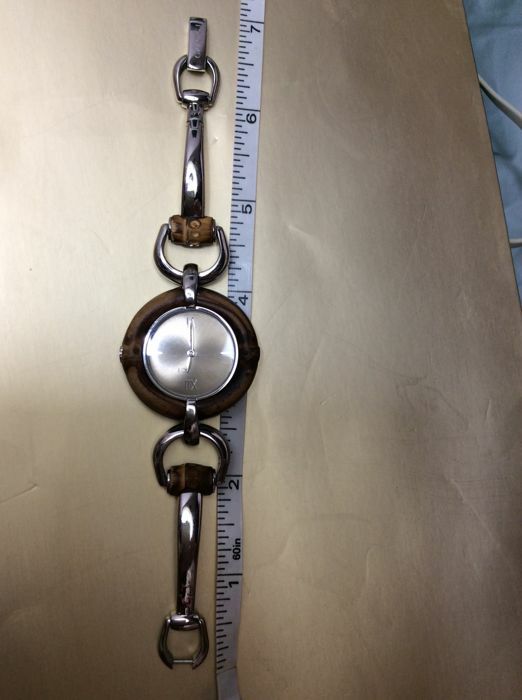 Like New, This item may have been worn but has no visible signs of wear. 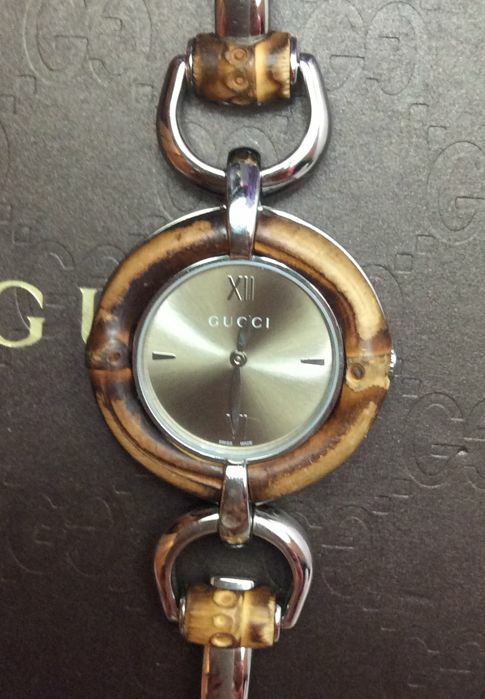 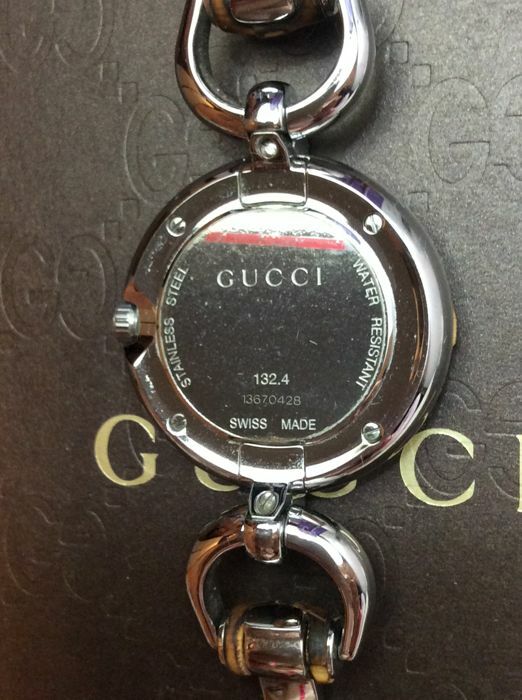 Authentic Swiss made Gucci bangle watch. 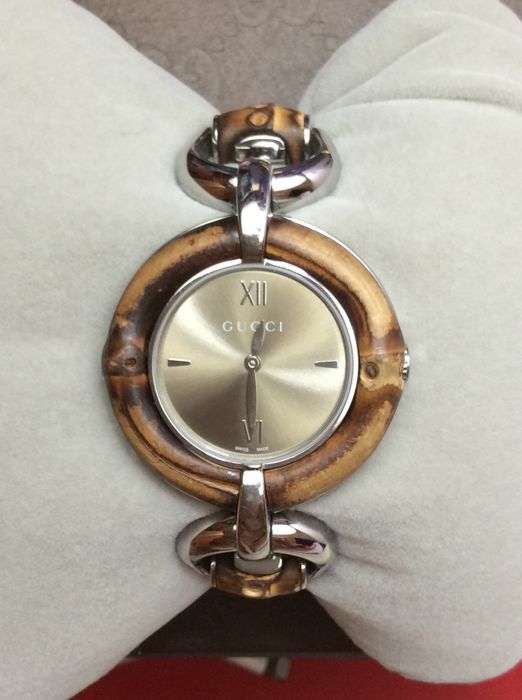 Stainless steel and bamboo bangle. 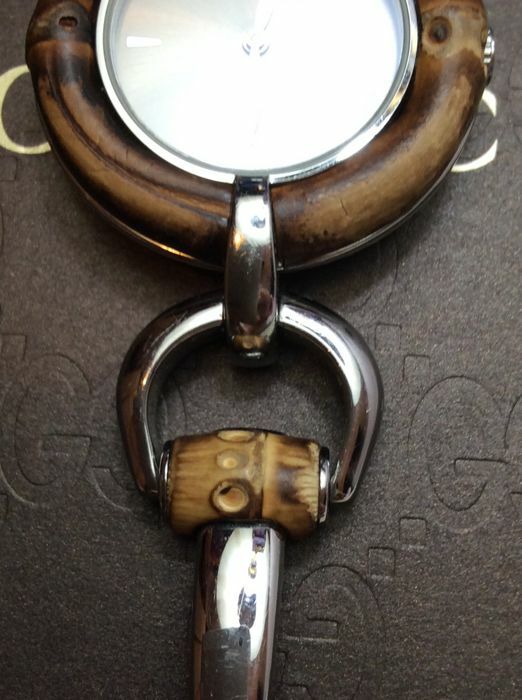 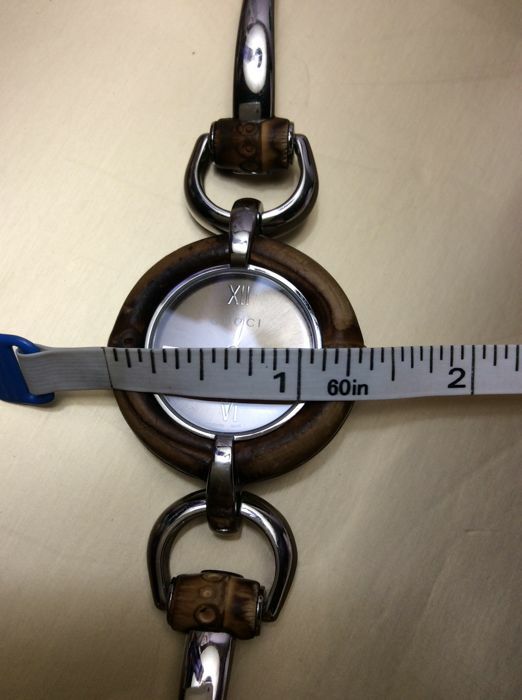 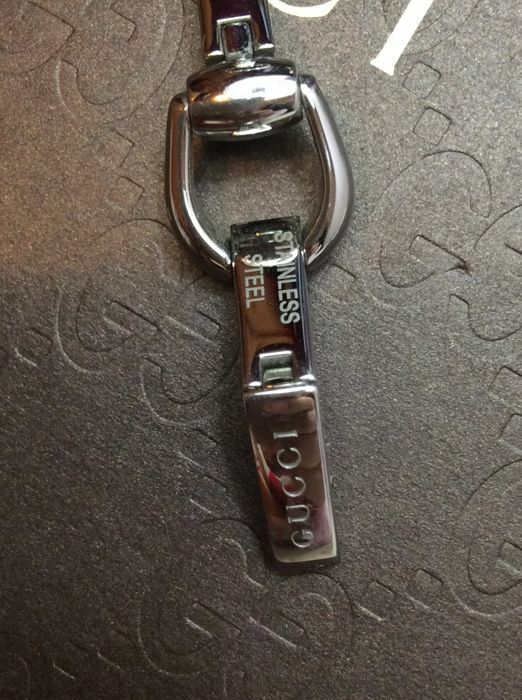 Adjustable links and horse bit buckle. 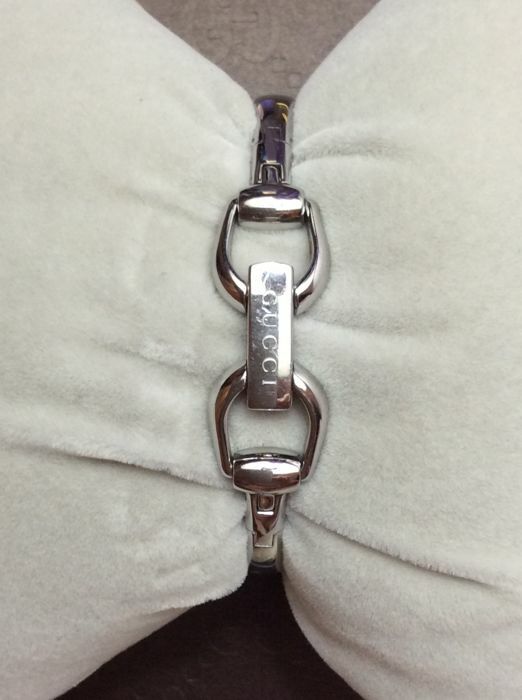 Strap:18cm, Comes with extra links. 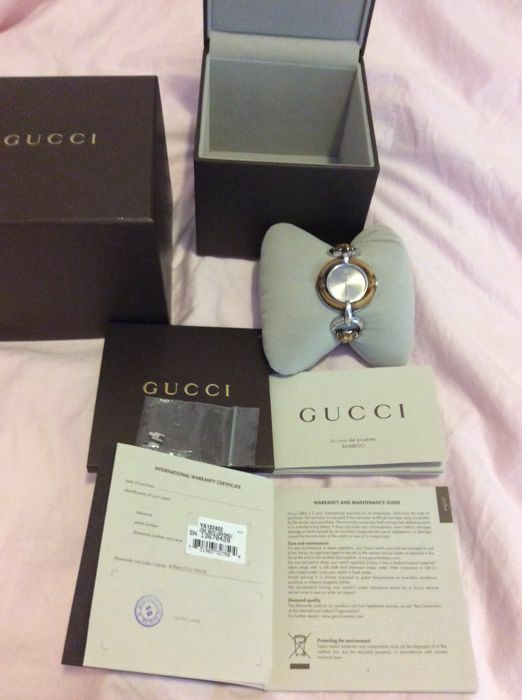 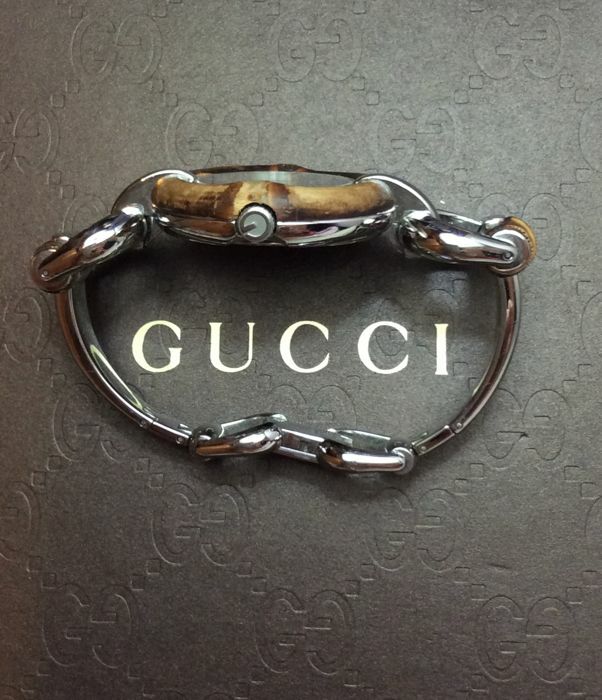 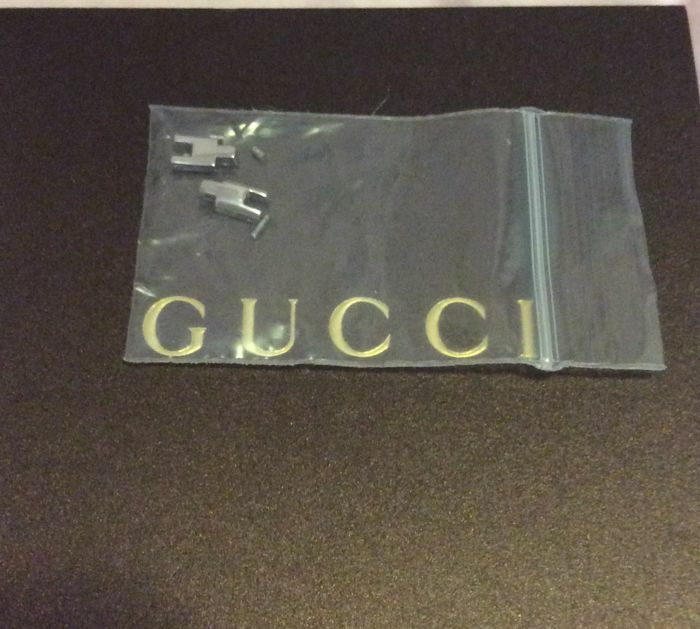 Gucci box and Gucci booklet and warranty certificate include. 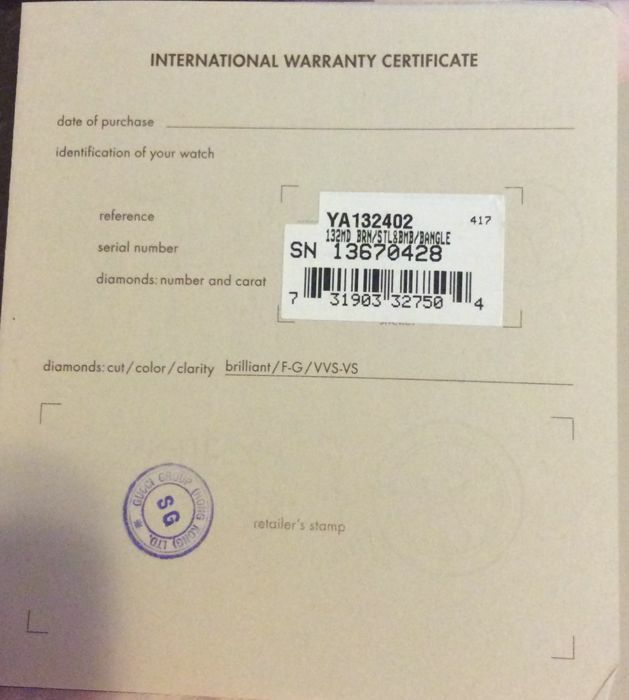 U kunt dit kavel ook ophalen bij de verkoper: Hong Kong (NT), Hong Kong.